Digital payments systems for universities, public facilities and events, as well as digital security solutions are the core topics that the portfolio companies of SANDPIPER Digital Payments AG deal with. Stock-listed in the segment Regulated Market in Berne and the Open Market in Frankfurt, the company has succeeded in winning 2.5 million customers, such as students and festival-goers, in the past years. In an exclusive interview with financial.de, the Chairman of the Board Dr. Cornelius Boersch and Managing Director Frank Steigberger explain how they plan to position SANDPIPER in the competitive digital payments market in the future. financial.de: There have been various changes at SANDPIPER in the past year. Amongst other things, several portfolio companies were sold off. Is that a good or a bad sign? Frank Steigberger: That is a very good sign! We have aligned our focus even more strongly on an efficient structure of portfolio companies in our segments. Our investment thesis is based on consolidating important players in niche markets to assume market leadership. These are niches, which are not yet in the sights of large payment providers. As a result, we can use the synergy potential of these companies, particularly in customer acquisition, and generate attractive margins, which, in the past, we have already partially been successful in. In terms of our structure, the year 2017 was a very important year of changes, in that we concentrated on the most relevant and prospectively most profitable entities. This was already reflected in the positive half-year results 2017 and will be carried through in the full year results 2017. In 2017 we have reorganized the balance sheet of SANDPIPER and significantly strengthened its equity. Several loss-making portfolio companies have left the group and the overhead costs of SANDPIPER were markedly reduced. financial.de: SANDPIPER has certainly built up a large customer base over the past years, especially in the lucrative target market of young adults. From the current starting point, which opportunities do you see to make use of this existing potential? 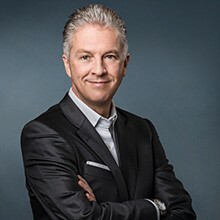 Dr. Cornelius Boersch: Through organic and inorganic growth, we have built a substantial customer base of primarily tech-savvy “early adopters” in the past few years, in a market in which customer acquisition costs, due to their high profitability, sometimes escalate to absurd heights. We are observing that low to medium three-digit amounts are sometimes paid for the successful referral of individual customers (the “customer acquisition costs”). Therefore, we are assuming the tasks of consolidation and integration for large financial services providers. Here we still see considerable potential. Frank Steigberger: In addition, there is cross- and upselling potential within the SANDPIPER group, as well as with our numerous large clients in the areas of banking, insurance and mobility. When offering a range of payment systems to a client, it is, for example, an easy step to then also offer the corresponding digital security systems. We are now able to present both offerings within our group of companies. financial.de: Does that mean that you have concluded the consolidation in your niche markets? Dr. Cornelius Boersch: No, I would not say that. While we have now set up a good structure in the group, we are, of course, also considering how we can expand our existing business segments. For example, through licensing models or white label solutions. We already gained this experience more than 15 years ago, when my long-term colleague and friend, Manfred Rietzler and I built companies such as ACG and Smartrac through a similar buy-and-build strategy. Of course, this does not preclude an even more international alignment for the company, beyond our home markets of Germany, Switzerland, Austria and Benelux. Frank Steigberger: Next to relevance in terms of size, we also have to ensure that we continue to grow in terms of technology. We are therefore of course intensively examining what relevance topics like, for example, blockchain applications can have in our industry. Here, we are currently in several partnership discussions. A few weeks ago, for example, we announced, that our subsidiary Multicard will be building new technologies together with Rabobank. The past few years were characterized by large investments in technology and products. financial.de: Now, it was possible to observe how SANDPIPER’s share price has suffered severely in the past. Was this due to a business model that is difficult to assess, or did other factors play a role? Perhaps you can also elaborate in this regard on the recent carve out of SANDPIPER from your investment company Mountain Partners. Frank Steigberger: To answer the first part of your question. In fact, the exact opposite is the case. Through long-term contracts and additional services, our business model provides very stable and predictable, recurring revenues. These currently make up about 60% of our total revenue. In our opinion an additional challenge was the shareholder structure of the company. Through a dominant major shareholder, the amount of freely tradeable shares was severely restricted, which led to a very low trading volume. As a result, the share price was repeatedly significantly impacted by individual transactions. Naturally, this has acted as a deterrent to many potential investors in the past. We are, however, already seeing that the interest of institutional investors in SANDPIPER is growing. With the entry of I|A|F|A Global Opportunities SICAV, a first fund has invested in the company and we expect that further investors will realize that we have a wide customer base, which is worth considerably more than the current market capitalization. We will further illustrate this on roadshows in the coming weeks. Dr. Cornelius Boersch: As the majority shareholder, Mountain Partners AG has decided to carve-out its shares in SANDPIPER to its shareholders. This has various benefits. Through this transaction, the shareholders of Mountain Partners AG now receive tradeable shares, which in turn increases the trading volume and free float of shares and should significantly stabilize the stock price in the intermediate term. This will also allow us to attract the interest of institutional investors. For this purpose, we envisage to implement further changes in the supervisory board of SANDPIPER at the 2018 general assembly. We will recommend several renowned industry experts for independent board positions and thereby increase the distance to Mountain Partners AG. We currently see an increased interest in SANDPIPER from industry players, especially from the Anglo-Saxon region. This is not only due to the large customer base, but also due to the payment platform and integrated technologies developed over the years. financial.de: Finally, what do you specifically plan to do to generate awareness for the SANDPIPER stock and make it more widely known? Which revenue and earnings expectations do you have for 2018 and what does this mean in relation to the previous year? Frank Steigberger: Let me initially answer the second part of your question: for 2017 we expect revenues of more than EUR 30 million and an increase for 2018. The EBITDA-result is expected to be positive for the first time in 2018, which is unusual for a growing technology company with a considerable customer base. Dr. Cornelius Boersch: We have started with investor relations measures towards the end of Q1 2018. For example, a first study about SANDPIPER was recently published by SMC Research. (Please find more information HIER); further analyst studies, regular press releases, conference visits and roadshows will follow. We are confident that we can sustainably develop the company and its share price. financial.de: Thank you for the interview.